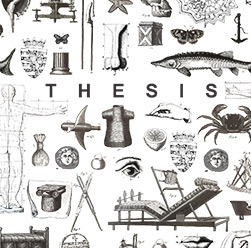 THESIS is an unrivaled furniture store and interior design studio with showrooms in Nicosia and Limassol. Its flagship is located in a beautifully restored 19th-century merchant’s house in the heart of historic Limassol. Established in 1984 by interior designer and architect Diana and Vakis Hadjikyriacou, founders of Vakis Associates Architects and both graduates of the Royal College of Art, London. Their vision was to create a showroom offering the best in interior design, with a unique collection of furniture, fabrics and artifacts sourced from around the globe. Vakis and Diana’s personal style and aesthetic is evident throughout THESIS, a tasteful mix of both Mediterranean and British styles along with influences from Asia and India. 30 years of travelling the world together have allowed them to discover and collect many original handcrafted pieces as well as providing unique design inspiration for their many projects. The THESIS design team offers a highly bespoke service and often collaborates with architects and experienced craftsmen to create original interiors and custom made furniture. We place great importance on building strong relationships with our clients, tailoring our service to meet each client’s needs from concept to completion. Our projects vary greatly – from exclusive hotels to luxury residence, restaurants, bars and offices, both in Cyprus and abroad. Completed projects include interiors for COLUMBIA BEACH RESORT Pissouri, APOKRYFO HOTEL Lofou, LIMANAKI RESTAURANT Amathus Hotel Limassol, COLUMBIA PLAZA and COLUMBIA BEACH Limassol and many large residences, apartments and offices in Cyprus, Montenegro, Switzerland and Ireland.